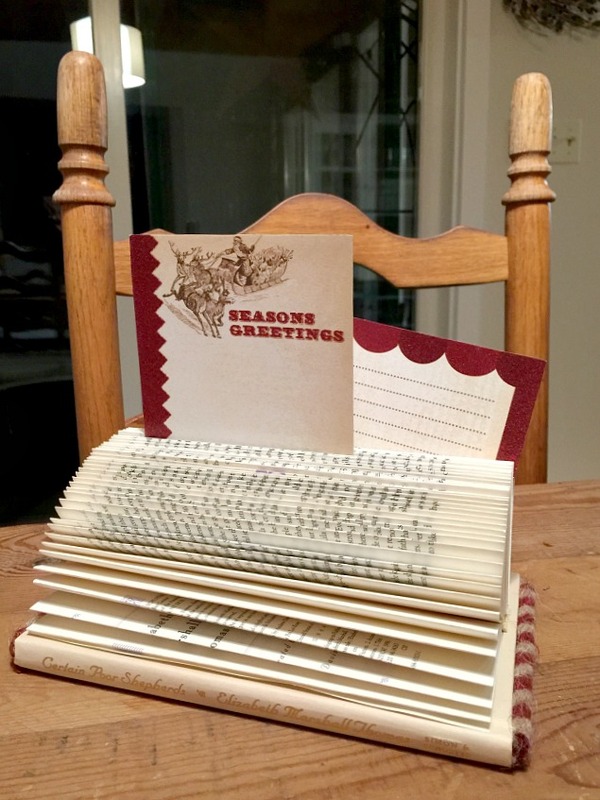 This is one of my favorite projects that isn't only good for Christmas but holds all kinds of notes and cards in an office. You can read all about the first folded book card displays I made a few years ago. Today I'm making more for an upcoming craft fair. They are always a great seller. I have one I use every year, they are excellent for holding Holiday cards in a small space. The whole family gets to look through the cards when they arrive without having to take them down from a wall display. I started with an old book. I like using small sized Christmas books because its just fun to flip through the pages and see the Christmas story inside and the title of the book will show on the base of the display. I cut down the spine of the book on each side to remove the cover from the book. 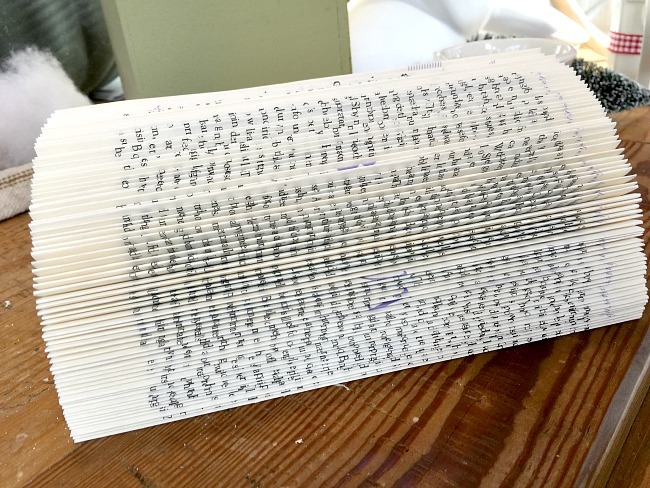 Then I fold each page from the front of the book to the back of the book into the center. 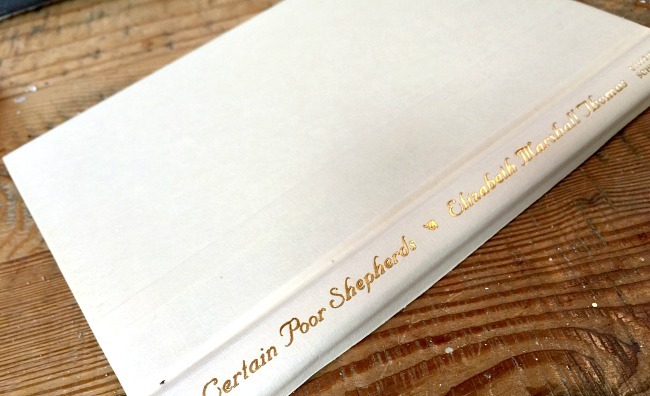 I remove the back cover of the book so I can use only the front cover and the spine. 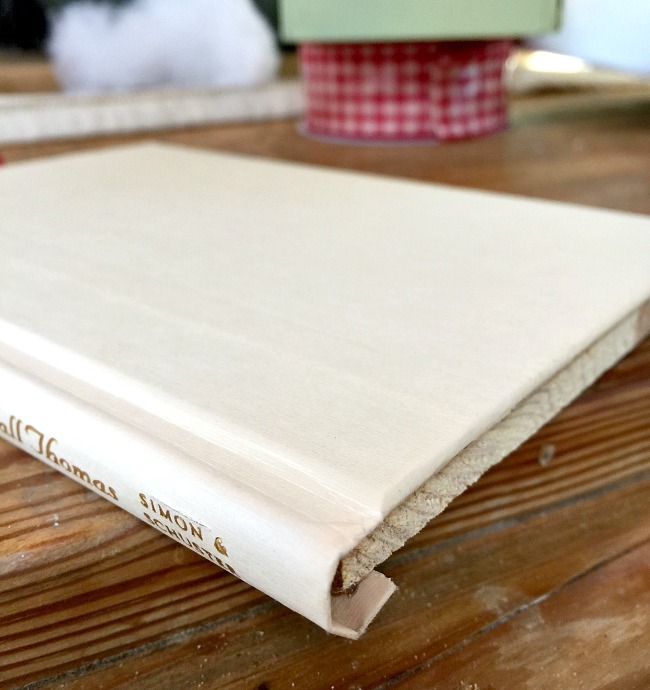 I then cut a thin piece of wood (sometimes a repurposed small, thin cutting board) to the size of the book cover then glue the book cover to the board with the spine wrapped around the edge of the wood. 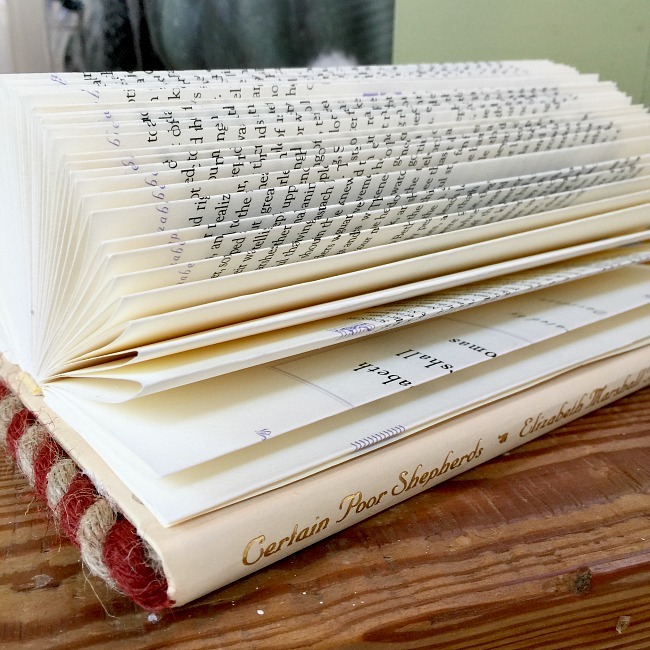 I then use hot glue on the bottom of the folded pages and across the spine of the pages to glue it to the top of the book covered wood. I glued twisted decorative jute around 3 sides of the board to cover the wood. 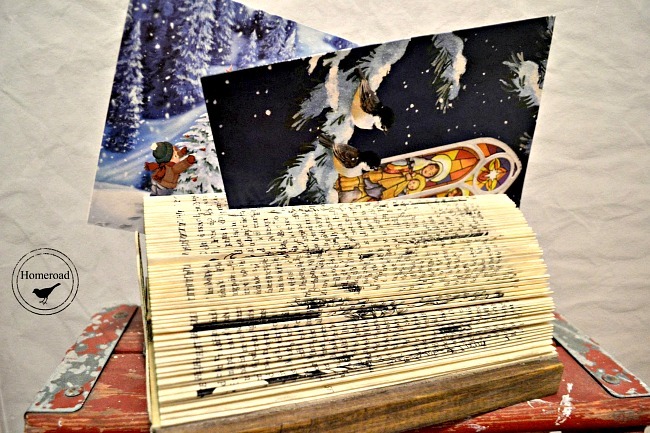 The Christmas title on the spine of the book adds a great touch to this Christmas card display. The original book cover makes a great touch but you can also customize yours with painted wood or trim around all 4 sides of the base.